As an event planning business owner, the ways in which you advertise your own business are critical to your success. Unlike with other industries, your strategy goes beyond just driving awareness for your own brand. Every marketing tactic and campaign you implement also provides prospects with a sneak-peek into the kind of unforgettable events you coordinate. After all, if your business can spark interest and intrigue with a simple marketing campaign, you’re clearly prepared to put on an awe-inspiring event that’ll be the talk of the town. Building a website was probably the first project you started after deciding to launch a business. An aesthetically-pleasing, informative website – equipped with simple navigation and prominent contact information – is crucial to generating leads as an event planner. Social media like Instagram, Facebook and Pinterest – whose strengths lie in their highly-visual nature – are another must-have for event planners looking to showcase their work. Nevertheless, face-to-face interactions are still just as important for your event company. Good, old-fashioned networking is one of the most effective ways to market your business and establish valuable connections. The positive impact that networking has on your business is two-fold. First, if people have met you and are familiar with your services, they may refer your business to friends or use your services themselves. Networking events also help you cultivate valuable partnerships with other businesses, like hotels and caterers, whose services you’ll need for an unsurpassed and memorable event. Everyday interactions sometimes present themselves as networking opportunities. But, oftentimes, the best way to network is to attend an industry-specific or regional networking event. Even joining a local chamber of commerce and interacting with other local business owners can go a long way in helping you develop strong business relationships, with consumers and potential partners alike. Business cards are abundant at networking events – and sadly, they’re also abundant in nearby trash cans. In other words, business cards are out. They’re non-descript and easy to ignore, misplace or throw away as soon as a networking event is over. Stand out by giving potential clients a fun, unique, printed and pocket-sized item or gift bag that will remind them about your business and contact information. As an event planner, you know better than anyone the power of a fun giveaway. Not only do branded materials give you free exposure, but they’re also a much more engaging way to incentivize guests to interact with your brand, attend your event or enlist your services. These new connections will appreciate that you went the extra mile and were able to provide them with something more than just another business card. They’ll be more likely to remember your brand and more willing to make the effort to refer, hire or partner with you. It can be as simple as giving other attendees a gift bag with a few useful items, like a pen, phone charger or lip balm. Custom decals and stickers can be easily placed on gift bags, Frisbees or other giveaways for simple branding that’s not intrusive or over-the-top. In event planning and marketing, the first few clients are the hardest to win over. Once you’ve established a client base, your strong customer experience will market itself, largely from referrals and repeat business. While you need to dedicate more time and money toward marketing at certain stages in a business lifecycle, that doesn’t mean you shouldn’t still pinch pennies where you can. That usually means getting creative with marketing. You don’t have to invest thousands of dollars in a billboard or other temporary advertisement to garner attention for your brand. Eye-catching wide-format graphics, like vehicle wraps, pay in dividends when leveraged by different businesses. This is particularly true for businesses, like event planning, that have a largely mobile component. Even better, these wraps are a long-term, multi-season investment that lets you maximize your resources and get the most for your money. With an attention-grabbing vehicle graphic, you’re capitalizing on the valuable marketing real estate you already have available to you. You’re also able to get your brand in front of millions of potential clients every day, creating limitless exposure every time you visit a new venue or client. First impressions are everything, and your event planning business is no exception. When prospects look at how you market your business, they’re also getting a feel for the type of event experience you provide. 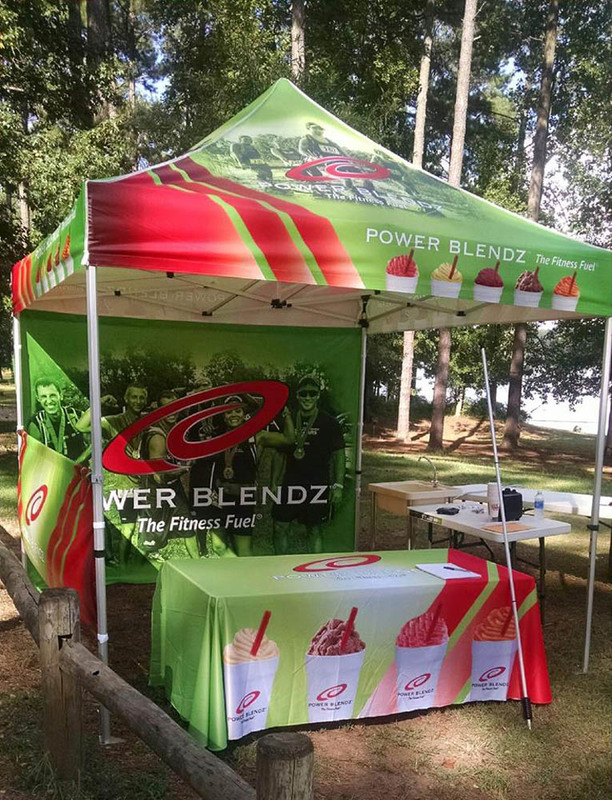 Whether it’s a personal event, like a wedding or birthday party, or a professional booth or pop-up marketing event, new clients will know they can count on your strongly-branded company to provide the best possible event experience. Partnering with a graphics solutions provider like SpeedPro Imaging puts you ahead of the competition and in a strong position to generate leads wherever you are – at a networking event or on the job. Our comprehensive solutions will offer you a completely customized plan to achieve your business goals and show off your brand to the masses. Even more, we’d be more than happy to partner with your business, providing your clientele with the industry’s best large-scale visual design and installation for any event. Backed by years of experience in event graphics, SpeedPro provides event planning clients with only the industry’s best. That’s why event planners across the country turn to our brand when they want to bring their ideas to life. When it comes to marketing for your own business or a client event, you have the vision and we know how to execute it. To learn more about why SpeedPro Imaging is the best partner for you and your clients, contact your local SpeedPro studio today.